Kiley is adorable all the time but is particularly precious with this Delightfully Funny Expression! 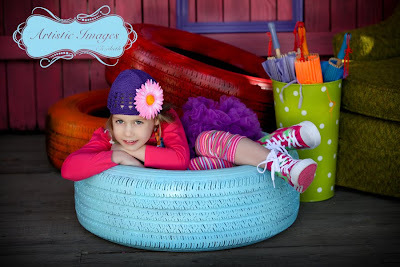 Vote for Kiley by commenting on her sweet little photograph! PS. 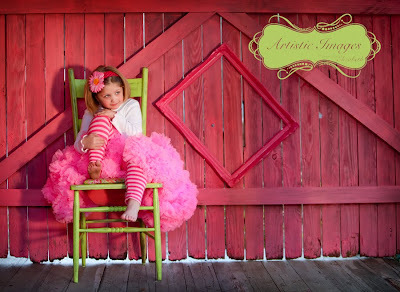 Kiley had some adorable smiling images too but this one completely won out for me because it is truly One of a Kind! What a beauty this little girl is! 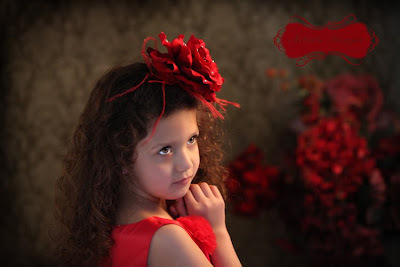 Anaisa looks fabulous in this red dress with the red flowers to complement. Her sweet spirit was totally captured in this innocent image showcasing those beautiful eyes! Vote for Anaisa by commenting here or on Facebook! 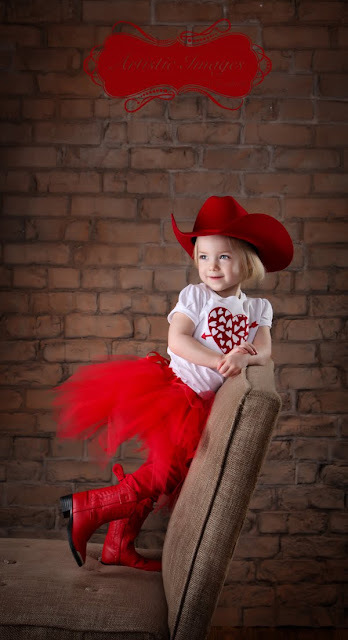 Paden is adorable in this red skirt, hat and boots! Believe it or not, this little model is only two years old and was perfect during the session! It is very rare to have any two year old actually do what you want them to do! Paden sure did perform her best and is sure to capture your votes as you comment on her image. 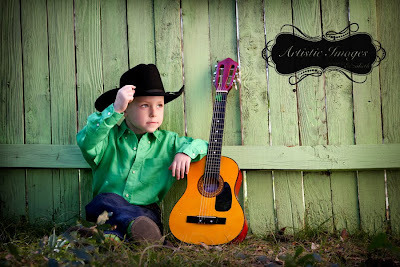 It doesn't get much cuter than this...a little boy all dressed in his cowboy duds! Check out Charlie in this awesome green shirt with his guitar. Charlie was a real gentleman during his portrait session and is sure to get all the ladies' votes! Watch out mom and dad, this guy is a real charmer! Vote for Charlie here by posting your comments! Lainey was the perfect model for our newest set for the summer special "KID JUNKYARD"! She is adorable in bright, vivid colors and that sweet little face makes this image a must have for our newest line of KIDART! Lainey has been photographed by me since birth, so I think she has got this model thing down pat! Vote for Lainey here by commenting on her image! 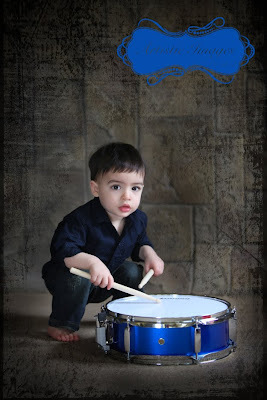 This little drummer boy is as cute as could be with his "rock star" attitude! Look at his big beautiful eyes! Isn't he adorable?? 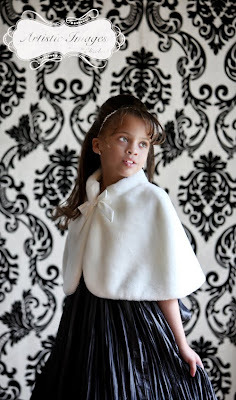 This little girl looks exquisite in her beautiful dress! She was so elegant and such a joy to photograph. By the way, this little beauty is only 6 years old! Vote for Christian by commenting about her image here or on Facebook! 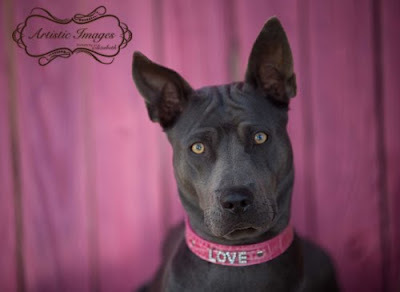 Check out this little girl with personality plus! She is adorable and was so much fun to capture her with all of her fantastic facial expressions! Vote for Danica by commenting on her image here or on Facebook! Here is Anakin! 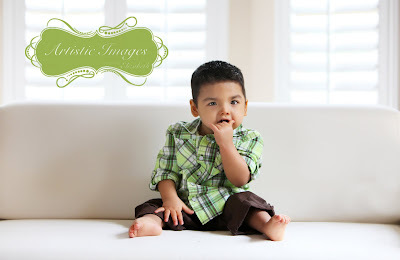 This little boy was such a treat to photograph! 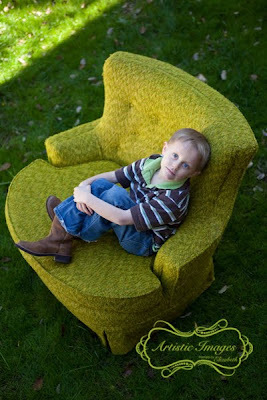 I titled this image "Hang Loose" He looks adorable in his green and brown little outfit with that sweet little face! Cast a vote for Anakin in the "special friends" category by commenting on his image! 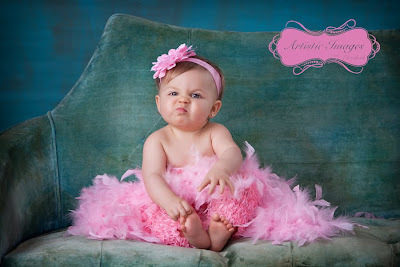 This is the very first contestant for the Baby and Child Portrait Contest. Her name is Olivia! Love this little girl in her pink ensemble. My "new" pink wall is a great scene to compliment her outfit and the lime green chair adds a bit of contrast to the scene. Olivia was the perfect model for her session and we had so much fun! Since this is the first one, let me remind you of some things. You get "votes" by getting comments on the photo...the more comments, the more votes! There will be winners in each of these categories but you don't have to mention the category when you comment as usually it is quite obvious which category an image will fit into. The contest is also running on Artistic Images Fan Page so don't forget that you can get votes there too! New Portraits of the Homans! Well, I hate to say it...... but I have the CUTEST BOYS in the WORLD! If I could enter them into the Baby and Child Contest they would TOTALLY WIN! 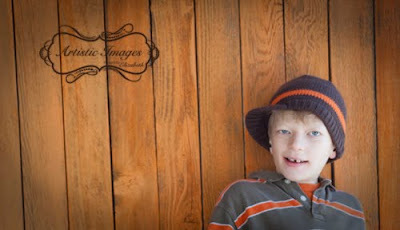 Here are the latest photos of my boys with some of the newest props and backgrounds at the studio. Also you will see the newest addition to our family....Bella Blue. As you can see, she is a girl so naturally she MUST be photographed with something pink! Don't be surprised if she is wearing some type of bow or tutu one day....these are the pent up feelings of a mom with 3 boys! We always called him "Prince Jackson" and his room has always been green! 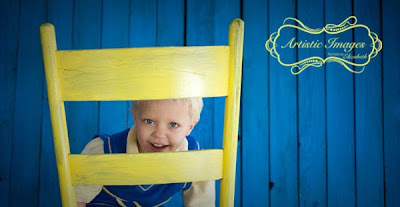 Joshua's favorite color is yellow and the blue brings out his amazing blue eyes! Bella Blue is All Girl!